On Friday 14th March, members of the Council’s recycling team launched it’s MetalMatters campaign at the shopping centre in Lewisham. 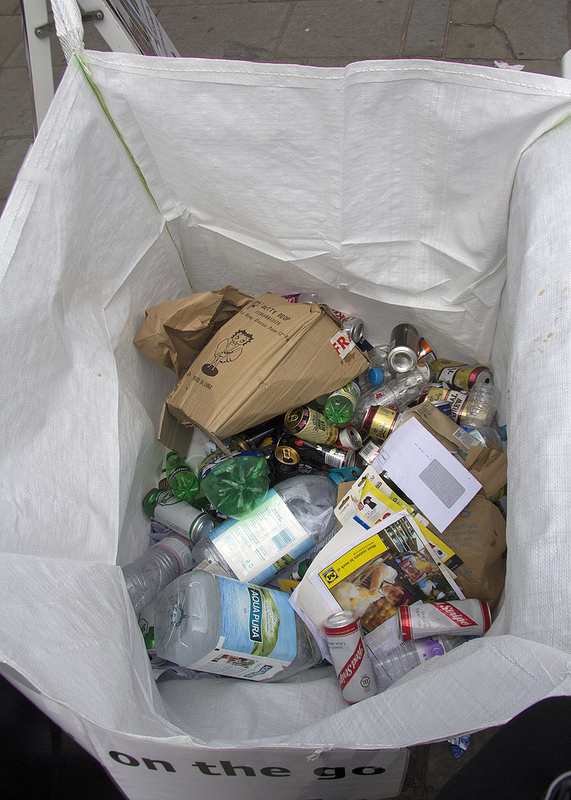 The campaign aims to raise awareness of the importance of recycling tins, cans, aerosols and foil and increase the tonnages collected in the borough. 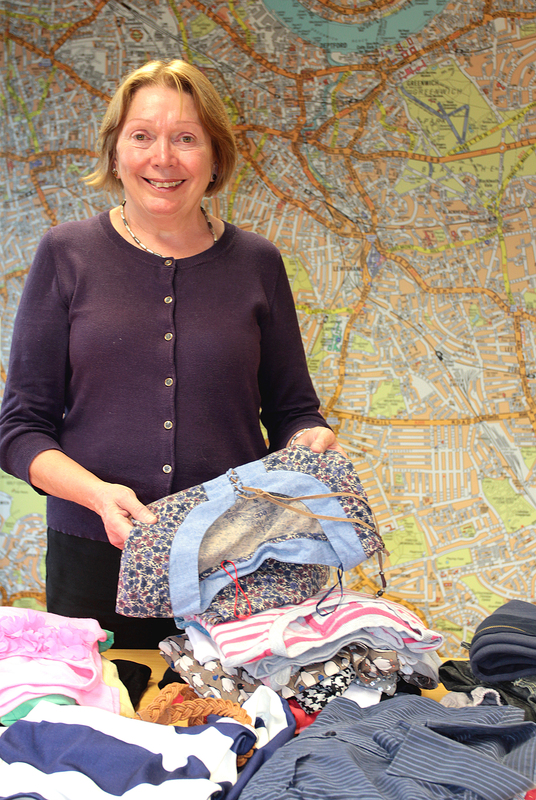 Lewisham Council have received funding from MetalMatters and also from the Waste Resources Action Programme (WRAP) to conduct a campaign right across the borough. 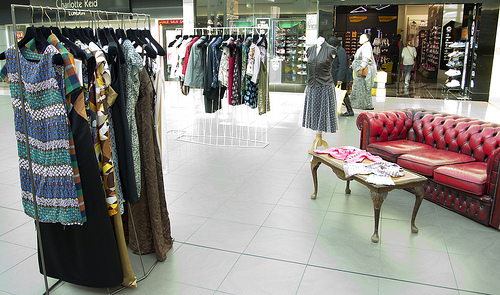 For the launch, we joined up with Myatt Garden Primary School who came along to the shopping centre to create an original piece of artwork using tins, cans, foil and bottles tops. Myatt Garden Primary School made a good start on the art work which will go to other schools in Lewisham. Their canvass for this event was a huge framed steel sheet which with the aid of magnets was used to place bottle tops and recycled cans to form images and words. 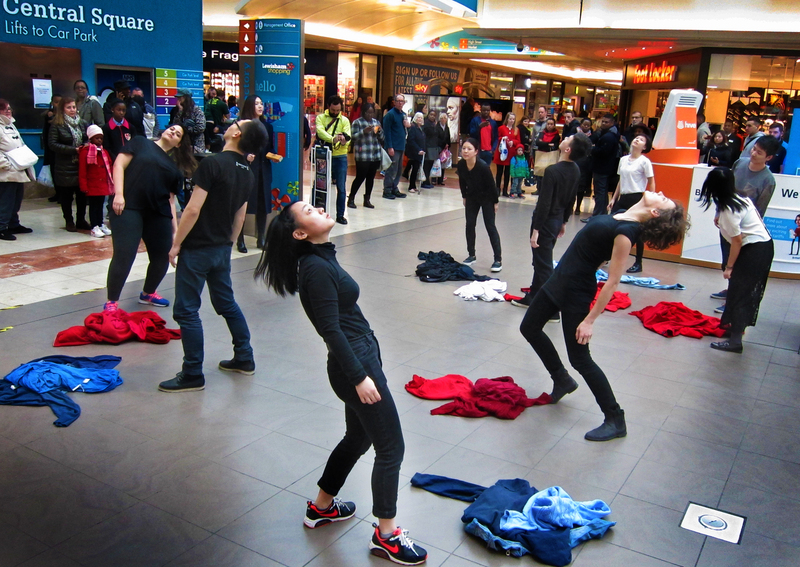 10 children spent 4 hours in the main square of the shopping centre preparing bits of metal, magnetic strips, cuttings and placing them onto the steel sheet. 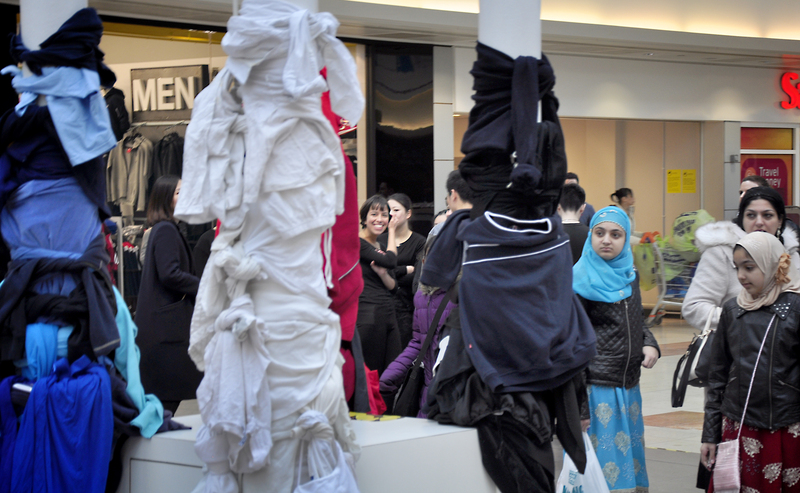 Their infectious enthusiasm led many passing shoppers to stop and enquire what the activity was all about. 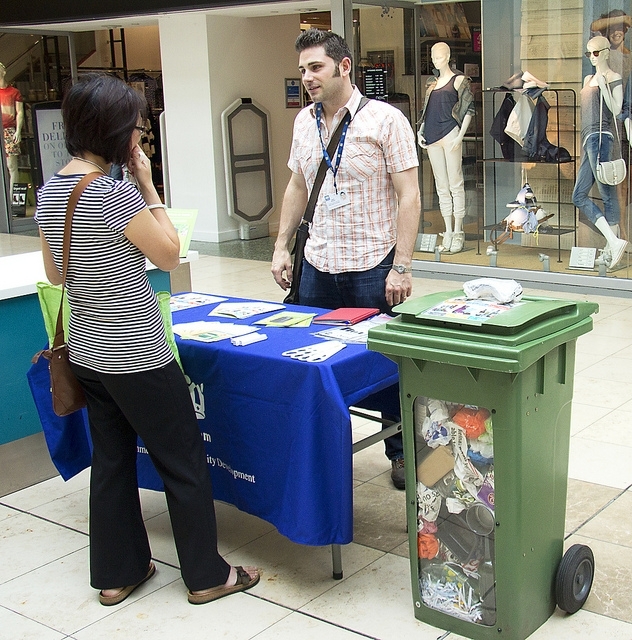 This gave the recycling team the perfect opportunity to engage with the shoppers and to explain the importance of recycling tins and cans and let them know how much metal really matters. 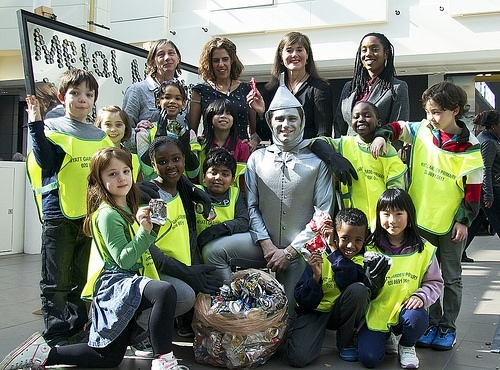 Children from Myatt Garden Primary School, teachers, representatives from the MetalMatters campaign and WRAP and special guest the Tin Man. This was also an opportunity to ask all those residents to recycle all their paper, cardboard, glass bottles and jars, beverage cartons, mixed plastics and plastic bottles including their tops. The event was a huge success with all the school children having a great day out and making their own personal contribution to public art. The artwork will go on to visit more schools in the borough and may eventually appear in the National Gallery. 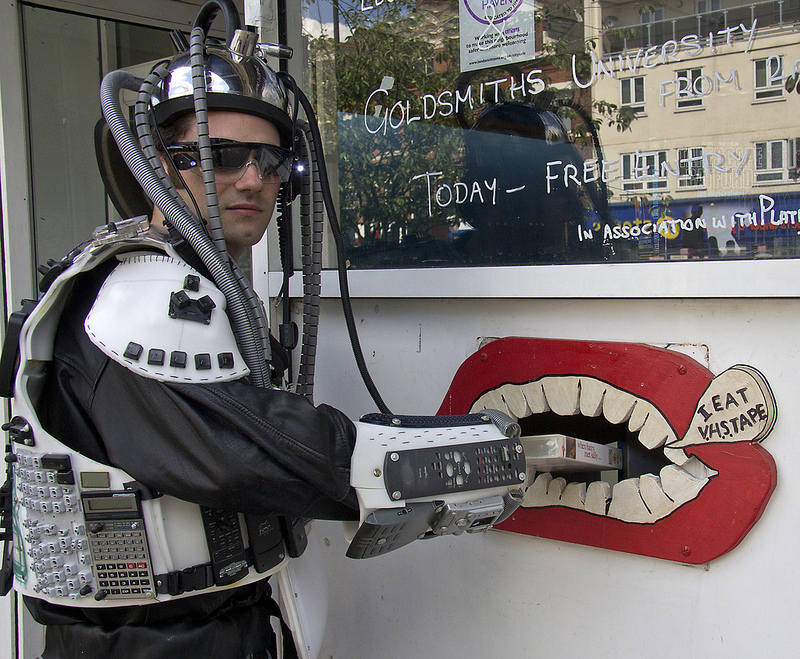 Shoppers also had a chance to meet our mystery guest the Tin Man who really was in a position to say how much metal really does matter. Lots of shoppers stopped to pose for photos with him and he was more than happy to pose with all the school children in group shots. 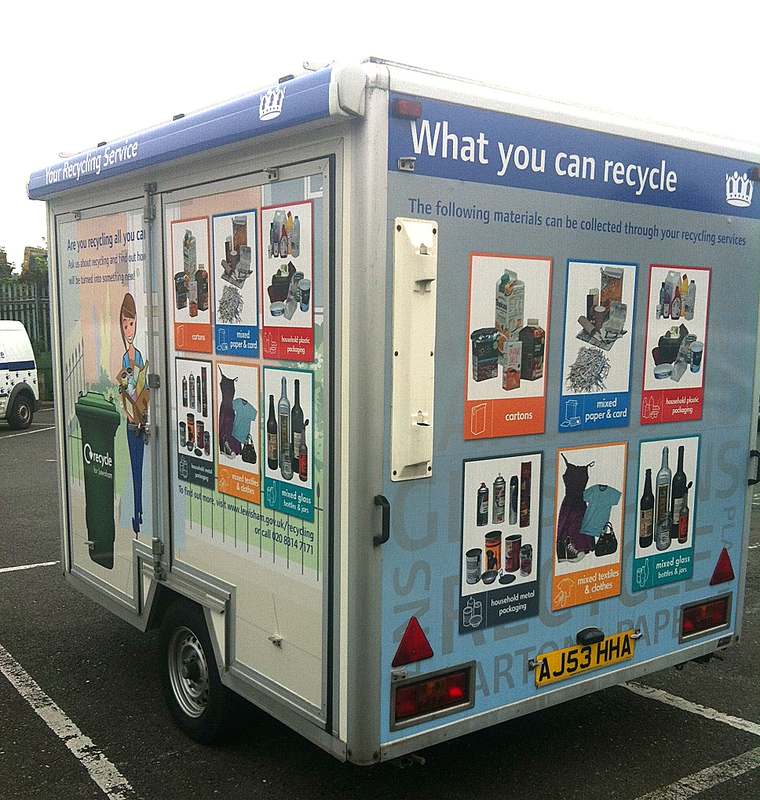 For the next couple of months residents will continue to see the campaign on the side of our recycling and refuse vehicles and will also be receiving a second leaflet through the post reminding them of the importance of recycling tins, cans, aerosols and foil. 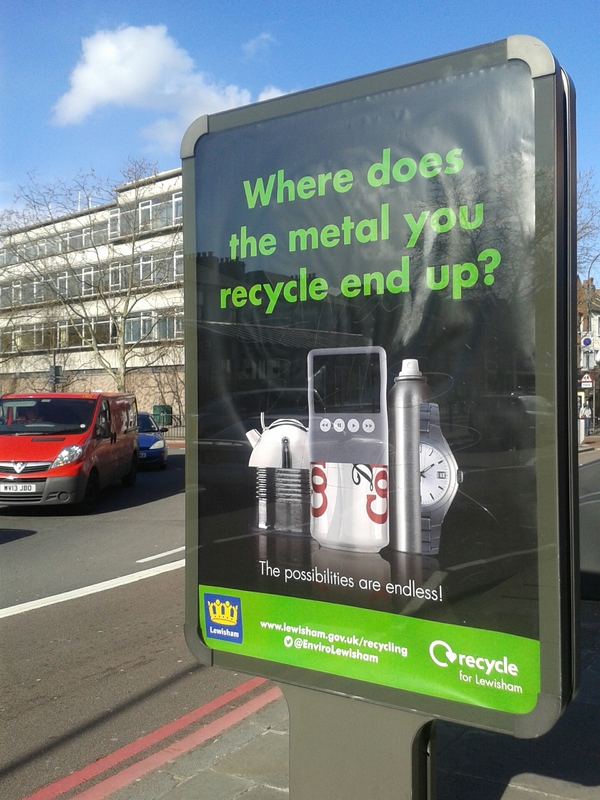 Don’t forget to recycle all your tins, cans, aerosols and foil and make your metal matter. Categories: community engagement, Environmental Campaigns, Tins and cans | Tags: art from recycling, Art work from tins and cans, Follow the yellow brick road, Lewisham Shopping Centre, Making your metal matter, Metal Matters in Lewisham 2014, MetalMatters 2014, Myatt Garden Primary School, original art from recycling, Recycling in Lewisham Shopping centre, recycling tins and cans, the art of recycling, The Tin Man, tins and cans, tins and cans recycling, Wizard of Oz, WRAP | Permalink. Lewisham’s Metal Matters campaign has been running for a couple of weeks now and many of you may already have seen this in one form or another. 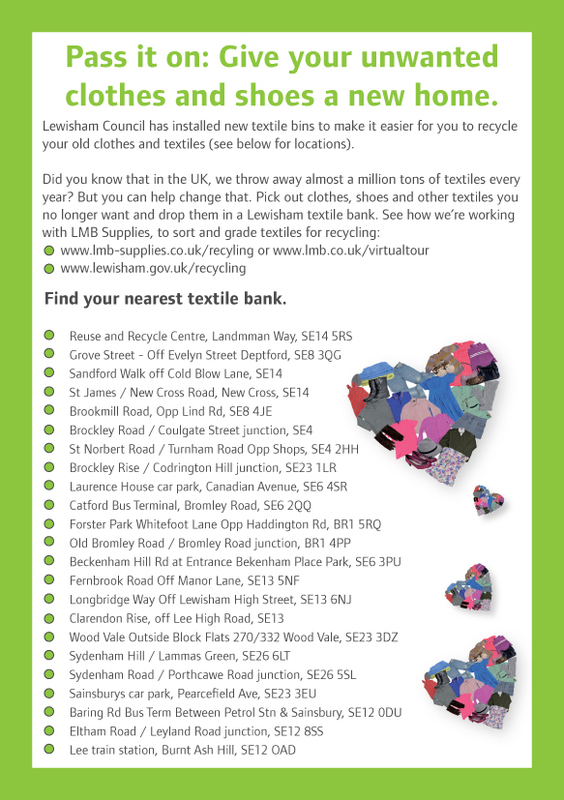 Perhaps you have seen the trucks carrying the huge banners highlighting the importance of recycling tins and cans for example or have seen the JC Decaux signs carrying the posters all across Lewisham. The Council’s official website has also been displaying a huge banner ad with a link connecting you to our recycling page. The metal packaging manufacturing industry, recyclers and fillers have teamed up with Lewisham Council to launch the ‘make your metals matter’ recycling campaign, to raise awareness of the importance of metal packaging recycling and to increase the amount collected from households. 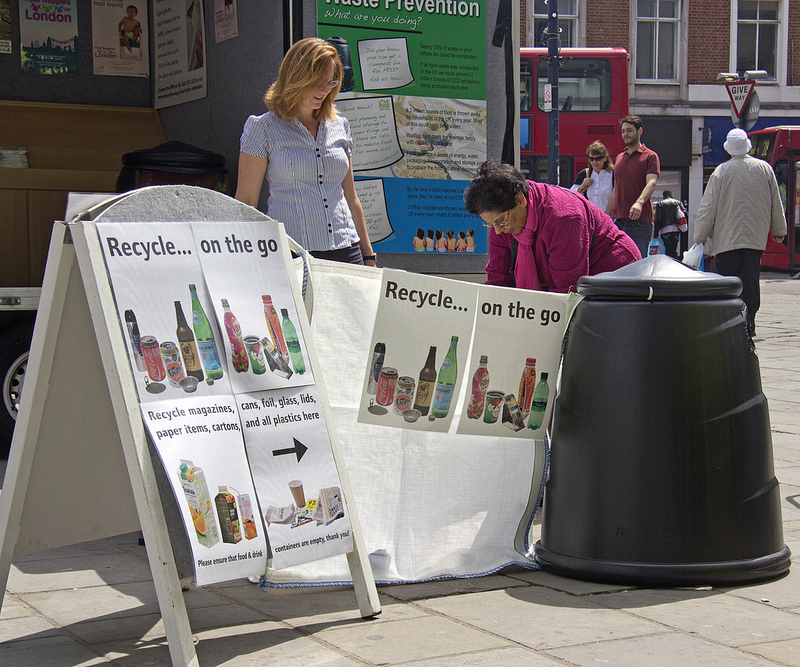 The campaign is being jointly funded by MetalMatters, an industry partnership comprising the UK’s leading producers, users and recyclers of metal packaging and Recycle for London. 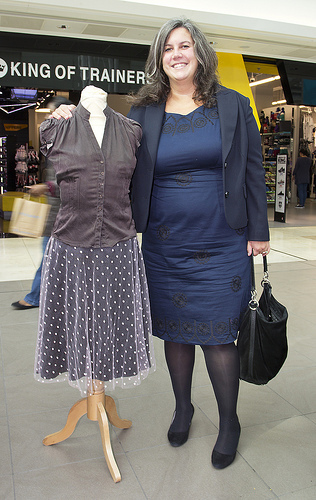 To raise awareness further, we are going to have a launch event in the Lewisham Shopping on Friday 14th March between 10am – 2pm. 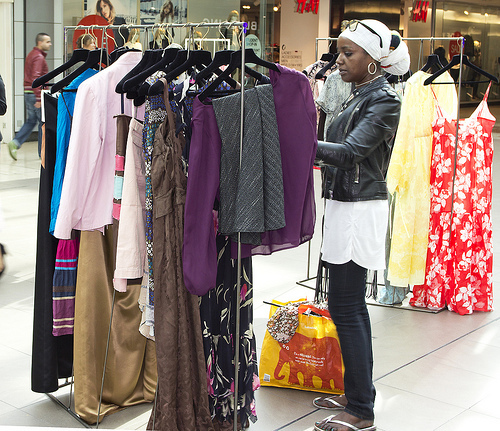 The event will be our opportunity to engage with Lewisham shoppers and encourage them further to recycle all their tins and cans including aerosols and foil. 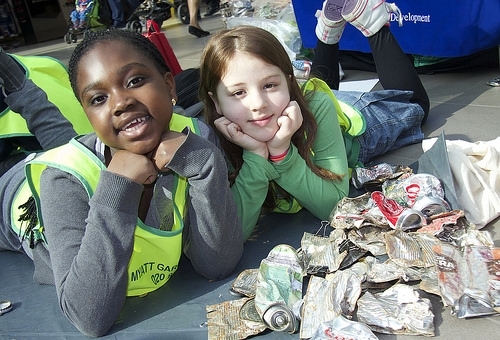 Also at the event will be children from Myatt Garden Primary School who will be taking part in an art project to create a unique piece of artwork from tins, cans, bottle tops and ring pulls. The construction of the art project will be taking place in the shopping centre itself and council staff will also be there asking shoppers to join in should they wish. It is hoped that once the artwork is completed, it will go on to be displayed in the National Gallery. 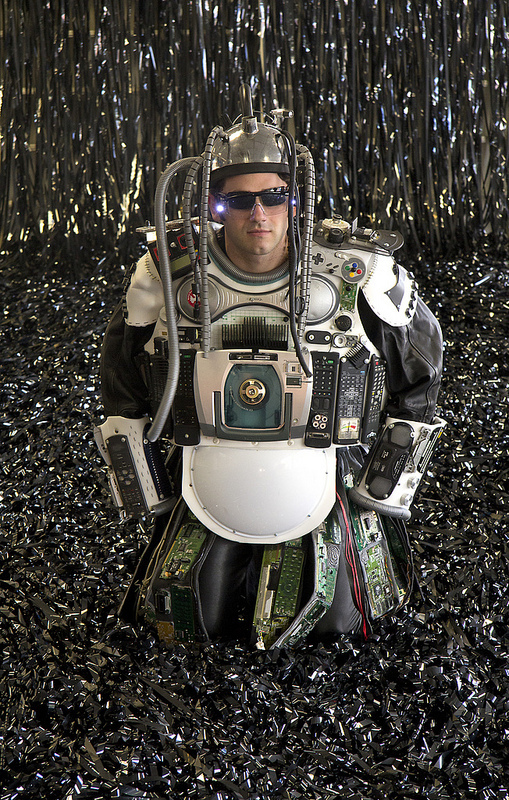 As well as all this activity, we will also be inviting a special guest that will be handing leaflets and talking to shoppers about his own experiences of how much metal matters to him. 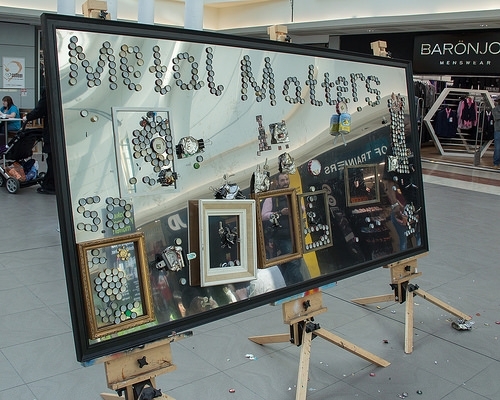 If you are going to be in the shopping centre on March 14th between 10am and 2pm, why not pop over to the Metal Matters stand and say hello and find out how you can play your part in increasing the amount of tins, cans, aerosols and foil that can be recycled. Categories: recycling, Tins and cans | Tags: Aluminium can recycling, Aluminium can recycling in Lewisham, Alupro, Alupro Lewisham, Can we do it, Lewisham Shopping Centre, Making artwork from tins and cans, Metal Matters, Metal Matters 2014, Metal Matters Lewisham, Metal really does matter, Myatt Garden Primary School, Recycling in Lewisham Shopping centre, recycling tins and cans, The Tin Man, Tin and cans, tin cans, yes we Can | Permalink.